It was unprecedented in this race, yes, and defies typical tradition. 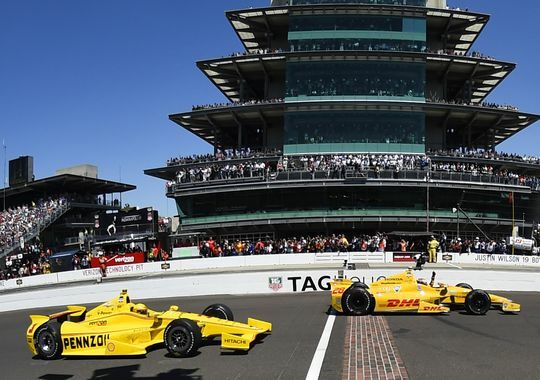 But IndyCar found a phenomenal way to avoid ending under caution (as it unfortunately has the past 4 years) and still stick to their staunch belief that the Indy 500 should be ONLY 500 miles and nothing more. The decision to throw the red when Townsend Bell wrecked near the end of the race gave fans a thrilling final 9 laps, and I don’t see anyone complaining about that part. IndyCar needed to adapt to avoid continuous anticlimactic outcomes in their “greatest spectacle,” and they did a wonderful job of that this year. I know this one’s out of chronological order, but since I watched the Monaco Grand Prix on DVR in between IndyCar and NASCAR, I’m sticking it here. I’ll admit I’m not a dedicated follower of the Formula One series, but of course I had to watch this one because of the pageantry of the historical race. Even without being a regular though, I could tell the tension between Mercedes teammates Lewis Hamilton and Nico Rosberg could have been cut with a knife. 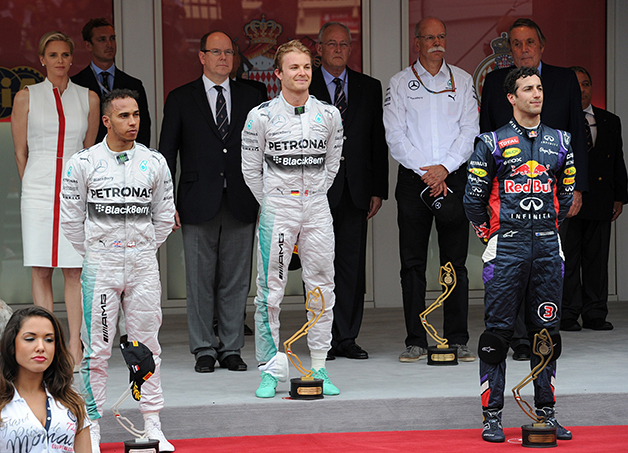 Hamilton was angry over Rosberg’s slightly sketchy clinching of the pole in Monaco, and that track position allowed Rosberg to lead the entire race and take back the championship points lead from Hamilton. But no eye contact and not even a handshake on the podium after finishing 1-2? I’m glad I don’t have Niki Lauda’s job of overseeing that team. The Kurt Busch we saw this weekend is not the Kurt Busch of old. This Kurt Busch was mentally strong, driven, and most importantly, classy in every aspect of the word. Hats off to you sir with respect for what you did on and off the track this weekend! Who SERIOUSLY thought it was? 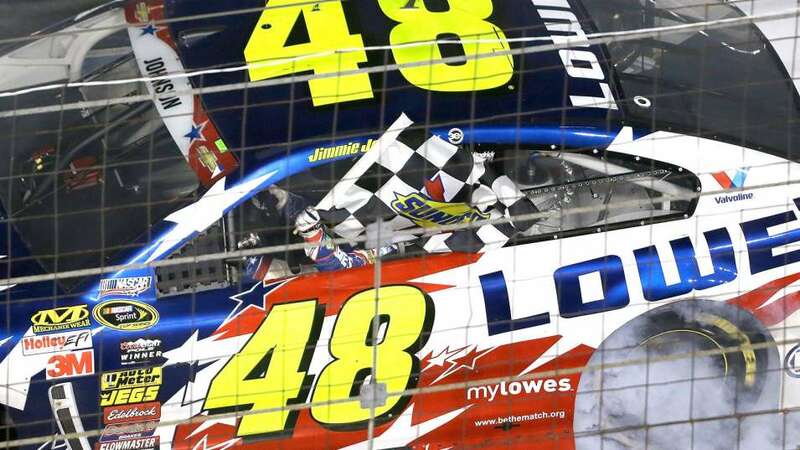 Several articles came out the week before the Coca-Cola 600 with drivers joking that Jimmie Johnson was “washed up” and that going 13 races without a win was a major slump for him. This minor winless streak might have been unusual for Johnson, but no one legitimately expected JJ to go the whole season without a win. He teased with the media upon entering the press room after the race, “What the hell are you going to write about now?” It was only a matter of time before we saw 6 Pack back in Victory Lane, and I think we can expect the 48 team to really turn on now that they’ve gotten over the hump of the first win. Dear motorsports, do you really need scantily-clad hot women to sell your product? Here’s a hint: NO. You don’t. The on-track product is plenty to get us to watch. The exciting final laps at Indy, Kurt’s attempt at the Double, one of NASCAR’s best getting his first win of the season – those are the things that draw people in. Not your “spokesmodels” in minimal clothing. I’m not talking about the always modest and actually useful Miss Sprint Cups – but if you watch any bit of motorsports, I’m sure you know exactly what I’m referring to. This has always bothered me, but it stands out particularly on this day filled with racing because these pointless marketing tools that do nothing but prance around and take photos are everywhere. This objectification of women in racing does no favors for those of us ladies who are trying to actually be respected for what we know and can contribute to the sport. Kyle Larson won his second Nationwide series race on Saturday after an exciting 3-wide pass for the lead allowed him to lead the majority of the race. But Larson strangely didn’t partake in the usual burnout celebration. The word is that after he took the wheel off for the burnout for his last win, NASCAR told him never to do it again. Was the lack of celebration this time just cautious respect for NASCAR’s rules or a boycott of celebration until NASCAR takes the leash off? As the resident sprint car lover at Florida Sports Talk, I had to include this one: Monday night, Tony Stewart tweeted a series of pictures of him in a winged sprint, the accompanying caption stating he finally got back in a sprint car for the first time since his August 2013 accident. Can’t wait to see #smokerising on the dirt again! Over in NHRA, Courtney Force won the Funny Car event at Kansas this weekend, clinching the 100th win for women in drag racing. This post originally appeared on Tori’s motorsports blog for Florida Sports Talk Radio.